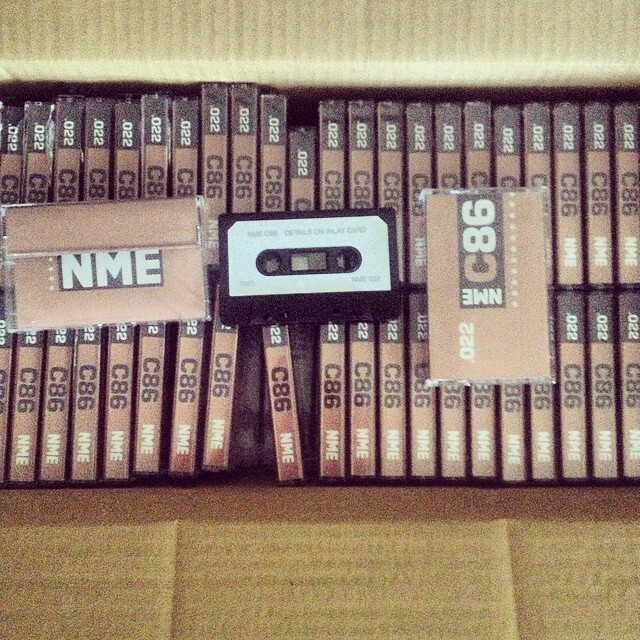 POST/POP X Cherry Red Records re-release NME C86! one of the most important indie albums ever. This album needs no introduction, but I will try anyway. NME’s C86 (1986) tape was an album that you had to send away for via mail order in an advert somewhere in the pages of NME. You know, like Sea Monkeys and X-Ray Specs. Instead of getting the greatest powder-based life form/friend ever, you got a little cassette tape that launched a barrel of bands that defined a genre for the next 30 years. Look at this tracklisting! Cherry Red asked me if I could re-issue the original tape for them and I said “YES I LOVE YOU CHERRY RED” which is a happy coincidence. Here’s the catch, and its a big one… You won’t be able to buy the C86 re-issue on tape, as they are only being used for promo purposes. If you are a music hack, you might get one in the post from Cherry Red (email them and ask!) but I am gonna make a few extra to give to some Tapeheads (who will chop my hands off for this! ), one to the British Library, and every now and then, throw one in with an order of 4 tapes or more (while stocks last, and obvs they wont). This is the most limited tape I will probably ever do, so apologies in advance if you don’t get one, but please please please buy the CD boxset from Cherry Red because they truly are KINGS. I know this is a bit of a tease, but POST/POP completists will want to know this exists 🙂 Sticking the POST/POP logo on this record felt like I was drawing a beard on the Mona Lisa, but everyone loves beards. UPDATE: Here are the tapes!! p.s. I adore the NME Cassettes. I want to reissue ALL of them. Previous PostFirst Press Photos for New Look MENSWE@RNext PostNO CARS & MODEL VILLAGE ALBUMS OUT TOMORROW (MAY 7TH) – Order Now! Hi Jed. Sounds like it’s going to be a great little package. Thanks for spreading the word. well hello there Pete! Your band is awesome btw, I listen to this album constantly! Is the Leaking Machine your new band? Thanks Jed. Yes. Well…new-ish. Russell (bass – also ex-MM) pulled together our archive the other day and we realised we’d beed floundering around for ten years or so now. We’re just getting our act together in 2014. Such slackers. Reblogged this on Brian Anthony Hardie.